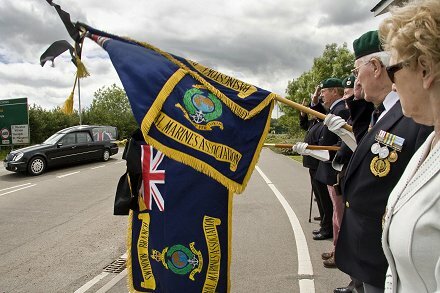 In an all to familiar site, hundreds lined the streets of Wootton Bassett and at Swindon's Police headquarters again today for the repatriation of Royal Marine Jason Mackie. The 21-year-old was killed in Afghanistan 8 days ago after his vehicle was hit by an explosive device in Helmand Province. Jason Mackie is the 159th person to be killed since the war in Afghanistan begin in 2001.